As I waited in the library for students to pick up an application, I couldn’t believe how many students kept piling in. You could feel the excitement in the room as students gathered. 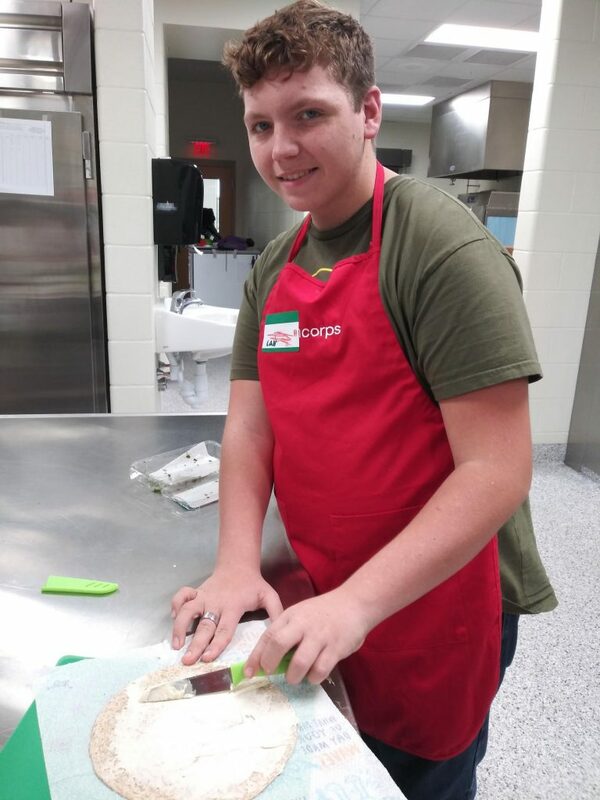 For a week, students had been hearing announcements about Corbin Middle School’s HealthCorps Cooking Club starting up, and many were intrigued and interested. Out of the almost 60 students that were interested, we could only take 15 students to be in the club this semester. Most of our students turned out to be 6th graders and would be learning how to handle kitchen tools for the first time. At a recent club meeting, we focused on how much sugar is in popular beverages. Each 2-3 student group received a different beverage. Their job was the figure out if the drink was a good choice by converting grams of sugar to teaspoons of sugar by reading the nutrition label. Students were shocked to learn how much sugar is in their beloved soda pop products. An 8th grade cooking club member commented, “I learned that I consume almost 3x the amount of sugar I need each day through what I drink.” Being more intentional about how much sugar we consume can have huge impacts on our long-term health. The first step to change is education! After our lesson, we made Rainbow Wraps. These wraps are made with a whole-wheat tortilla, cream cheese, and a variety of vegetables. The vegetables students could put in their wrap included: bean sprouts, jicama, red cabbage, peppers, carrots, tomatoes, lettuce, and cucumbers. 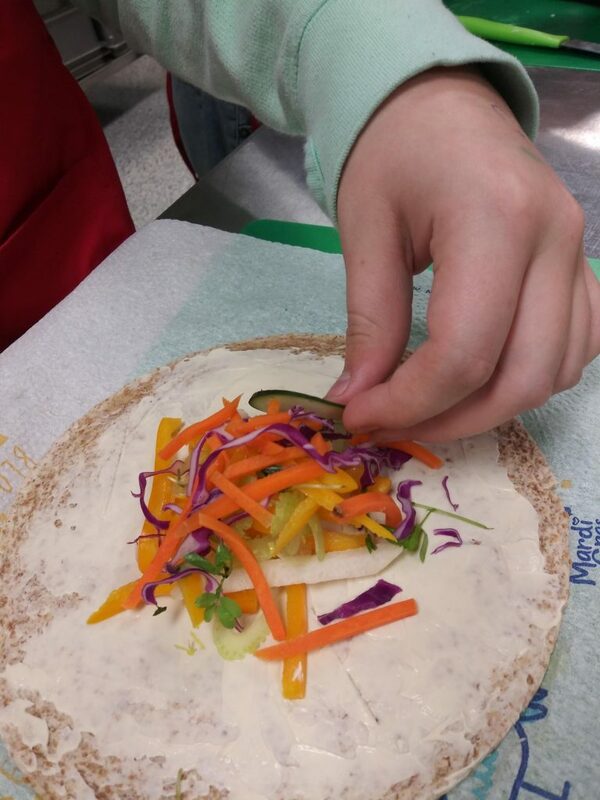 The cooking club students loved the wrap! Most students were brave and tried vegetables they had never tasted before. They never had a wrap made with so many vegetables! 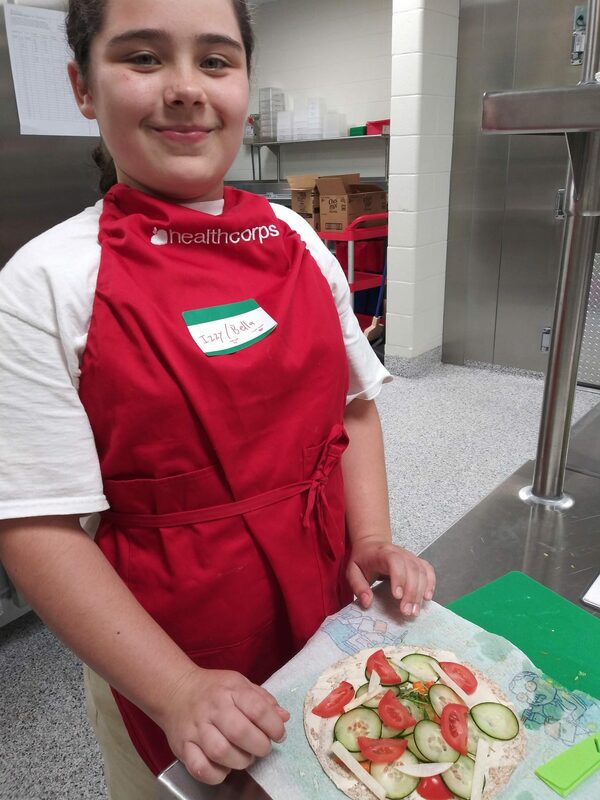 One of the goals of cooking club is to help students experience healthy foods prepared in ways that taste great. I love when students are surprised by how much they like the healthier foods they are trying.